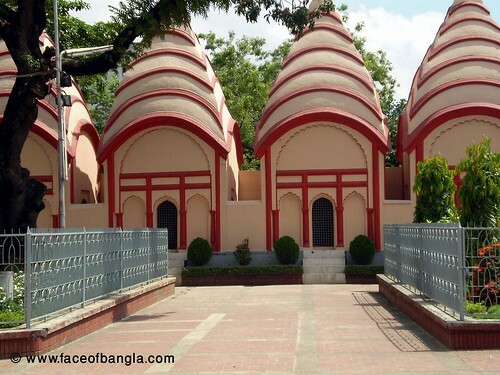 Dhakeswari Temple (ঢাকেশ্বরী মন্দির) is one of the most oldest temple in Bangladesh. 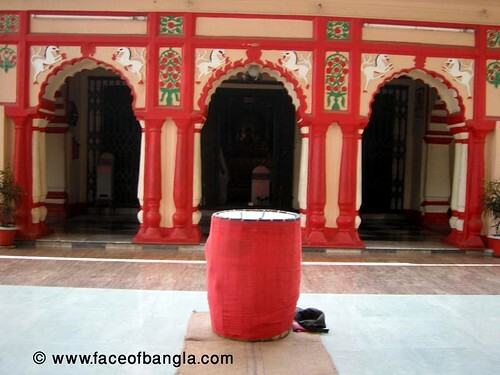 It was established by Ballal Sen (বল্লাল সেন) in 12th century. 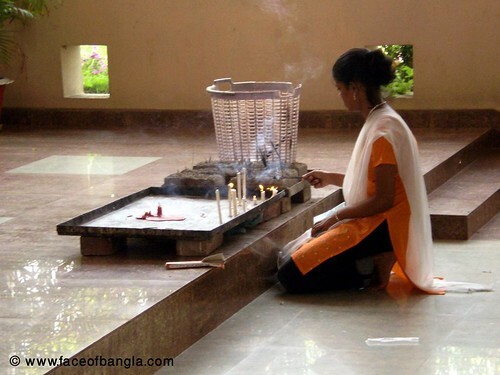 Some historians predict that the name of Dhaka city was derived from the name of this temple. Bangladesh government gave it the distinction of national temple. 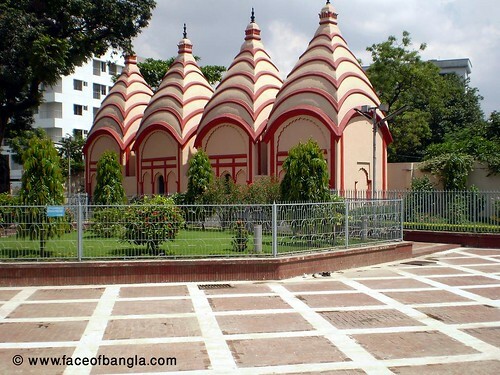 After the demolition of Ramna Kali Mondir (রমনা কালী মন্দির) by Pakistan army in 1971, Dhakeswari temple got the focus as a most important Hindu worship place in Bangladesh. 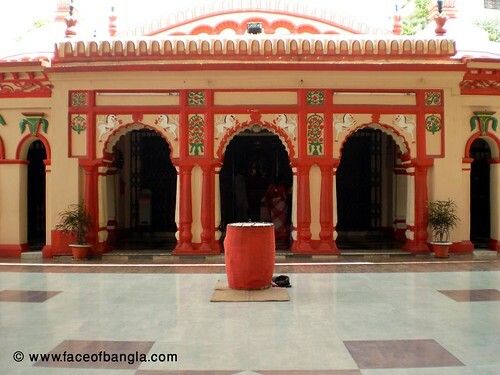 This temple was renovated several times due to destruction in 1971 and in 1989/1990. 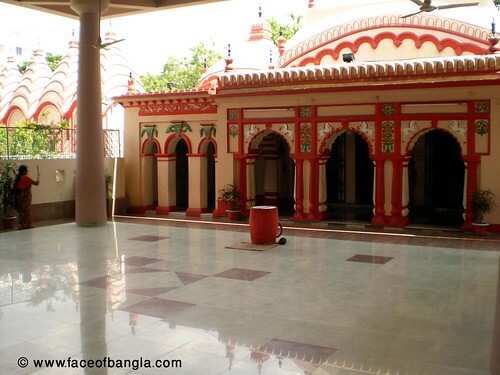 This temple is very near to Dhaka University and can be reached by hiring a Rikshaw or Auto vehicles. It takes only 15-20 minutes from Dhaka University Campus.